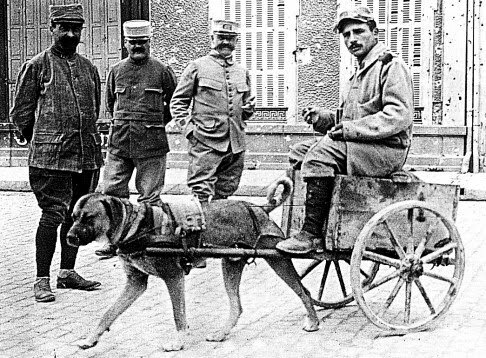 I have always loved working dogs, and admired the sense of true duty you see in the eyes of a dog who gets to do something. 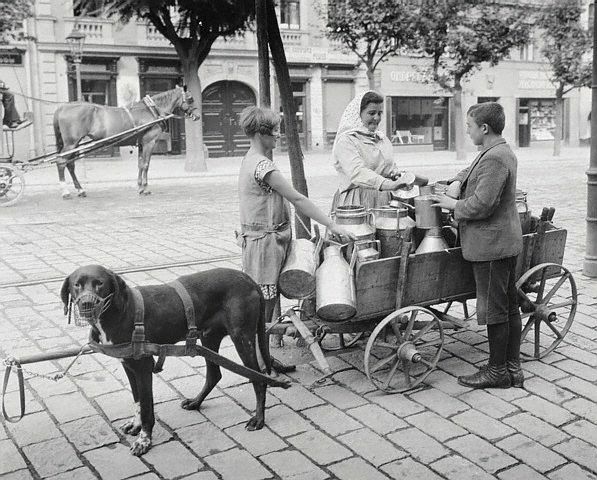 He knows he's needed. 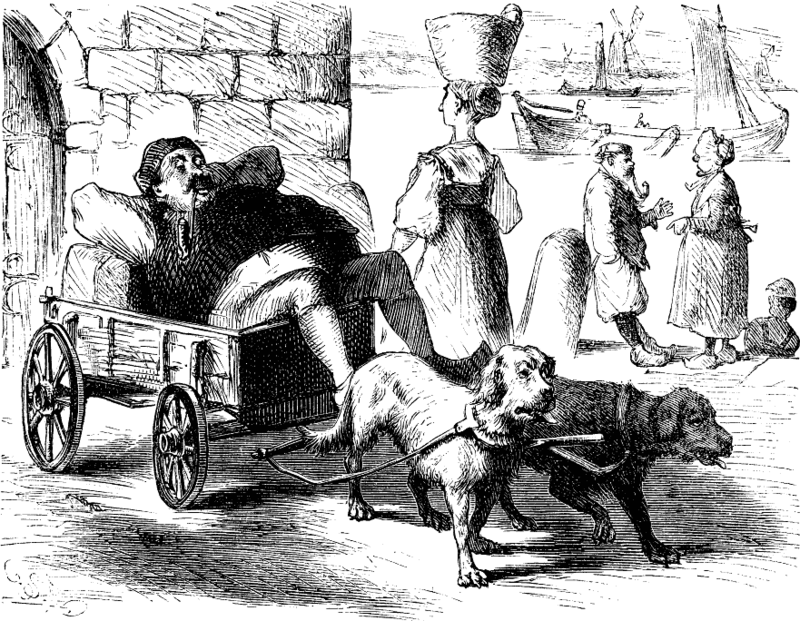 He knows he's important. 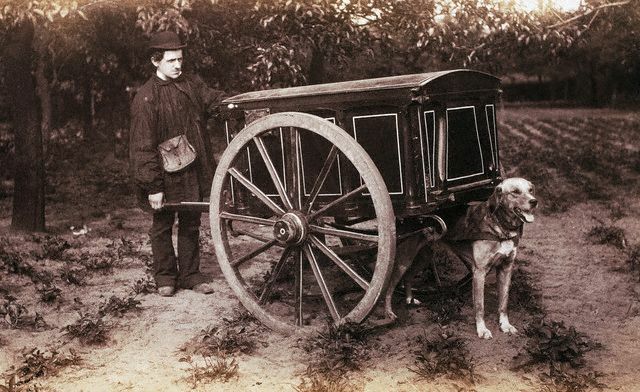 The modern idea of the pampered house dog, crated while his owners are at work all day, eventually taken for a walk or two. . . it's a testament to the species that they still sit in reverent devotion at our feet. 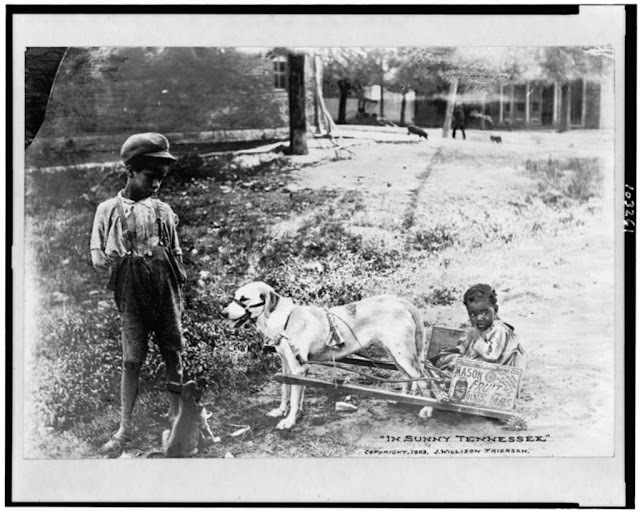 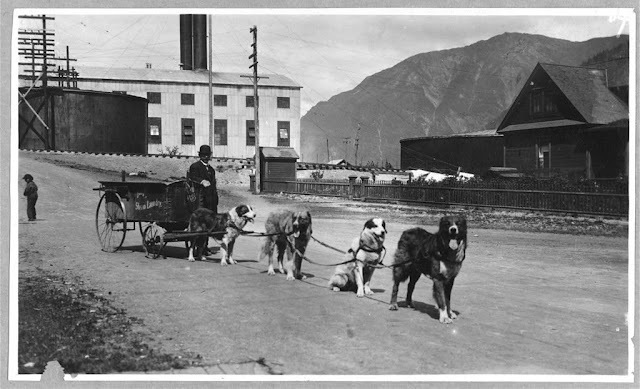 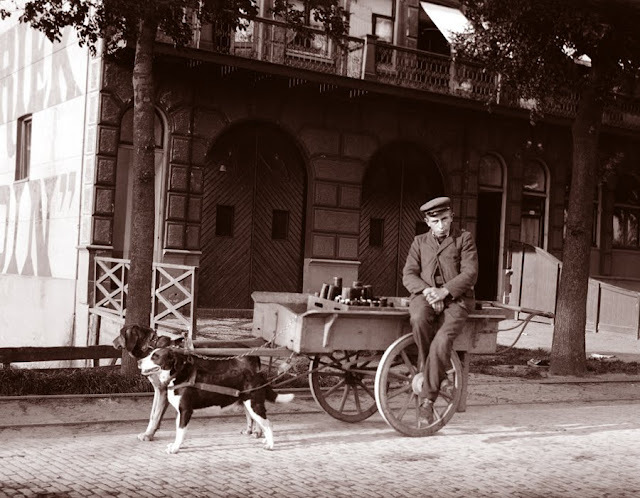 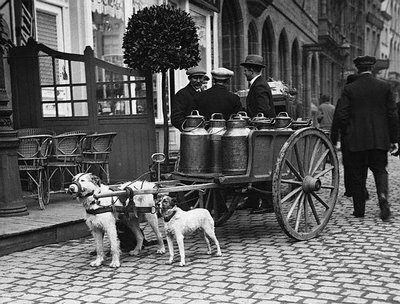 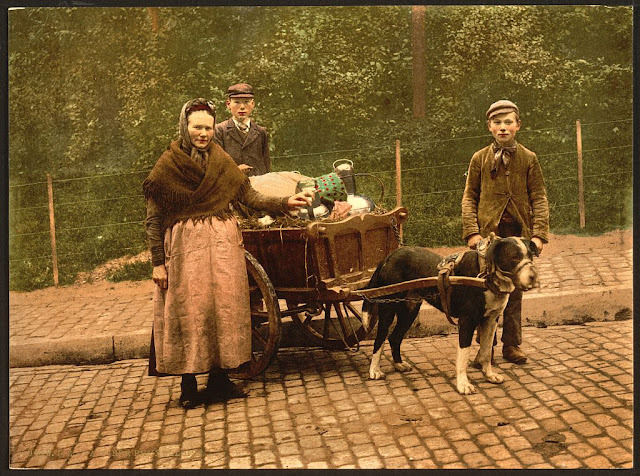 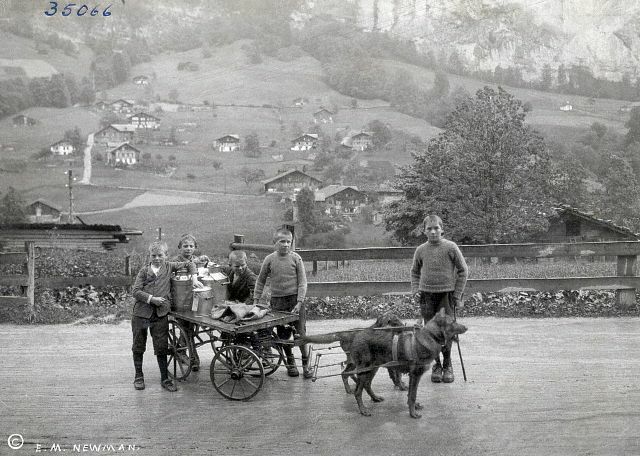 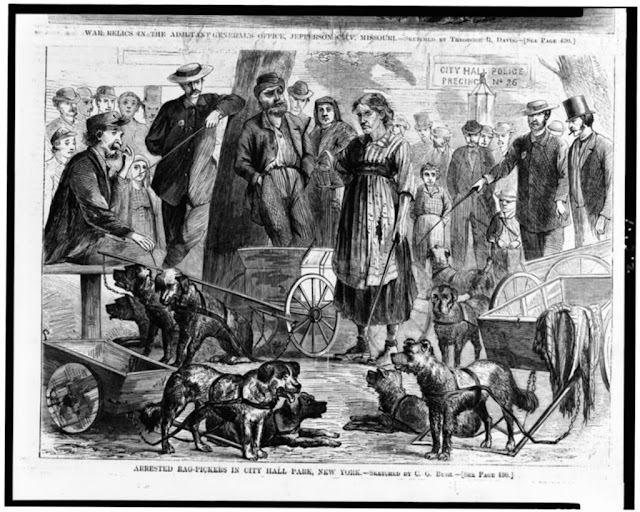 Carts pulled by dogs were once a common sight in European cities and even in parts of America up until the turn of the 20th century. 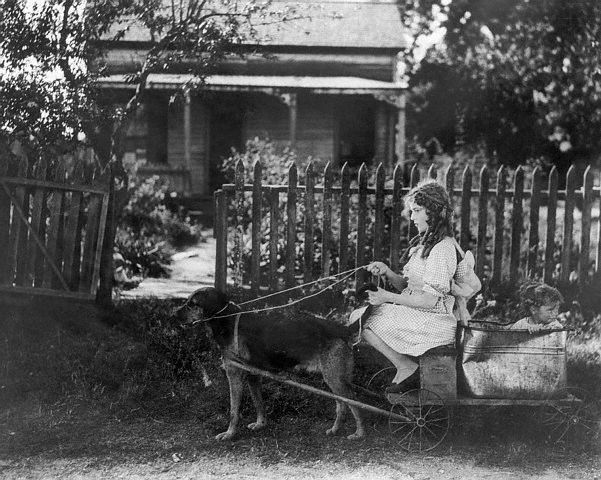 The above photo shows the lovely silent film actress Mary Pickford driving a dog cart on the set of the first film version of Pollyanna in 1920 (as was typical of her roles, the 28-year-old Pickford played a child). 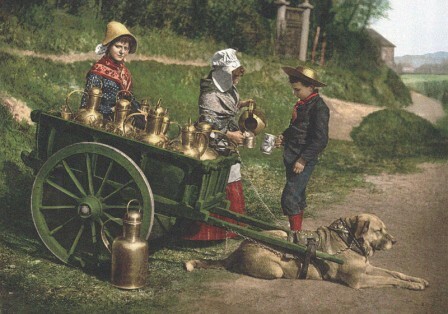 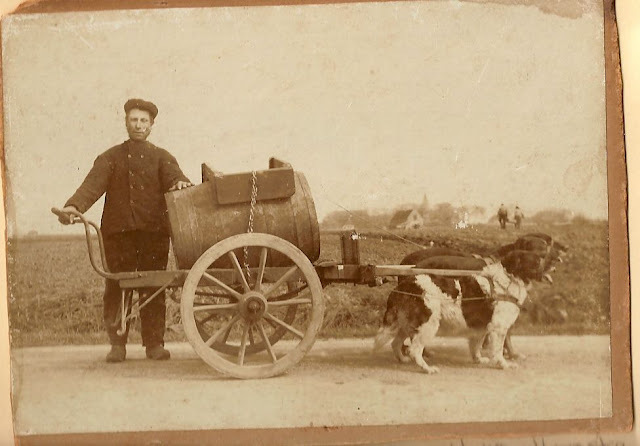 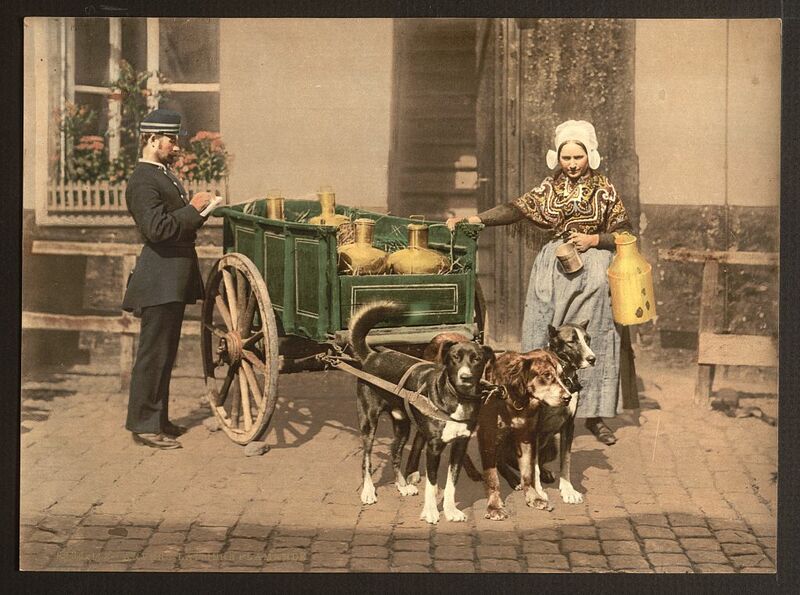 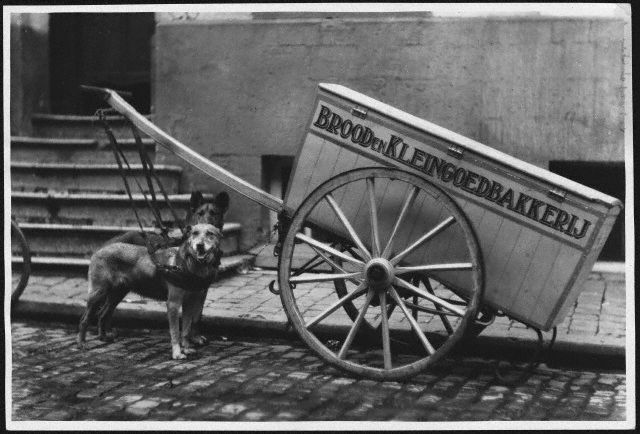 I was doing a bit of research for our upcoming Tulip Time hi-jinks and came across a huge cache of images of Dutch and Belgian dog carts that were common fodder for postcard photographers at the turn of the century. 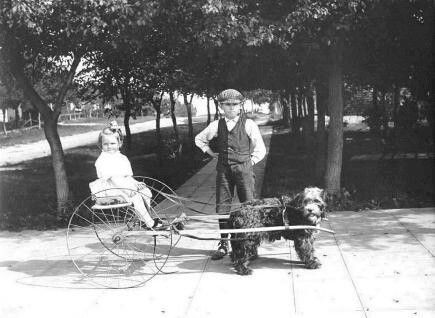 Then I remembered the dog cart we saw at Dutch Village in those heady days right after we moved back to Michigan. 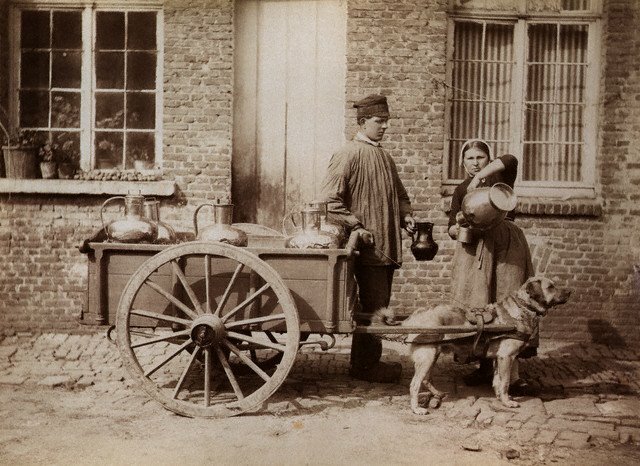 It turns out dogs were a very common draft animal for small loads of milk and cheese throughout the low countries. 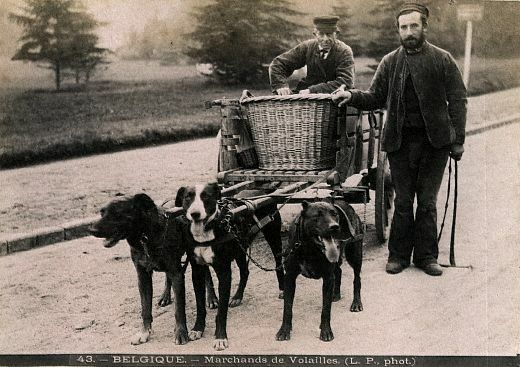 Some breeds, like Bernese Mountain dogs, are particularly well-suited for draft work. 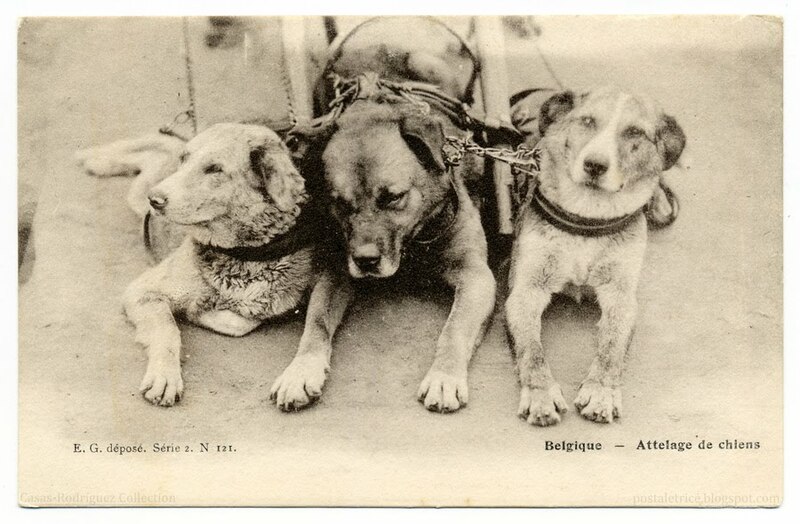 But from these pictures, it appears all kind of breeds were used. 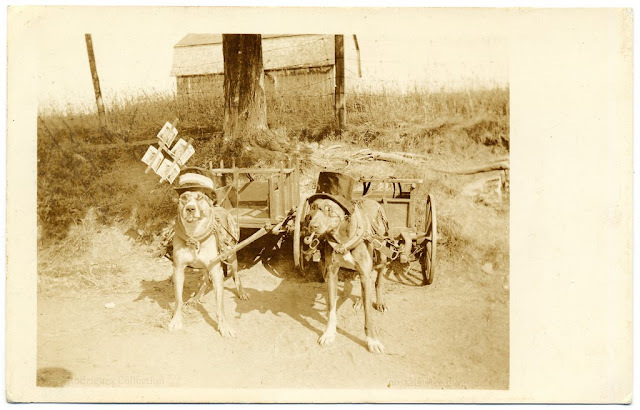 These images are all over the Internet without much attribution, either from the Library of Congress, eBay, or the two excellent catalogs of dog cart images at Terrierman's Daily Dose and Messy Beast. The hats are a dignified touch, don't you think? Everyone looks fancy in a top hat. 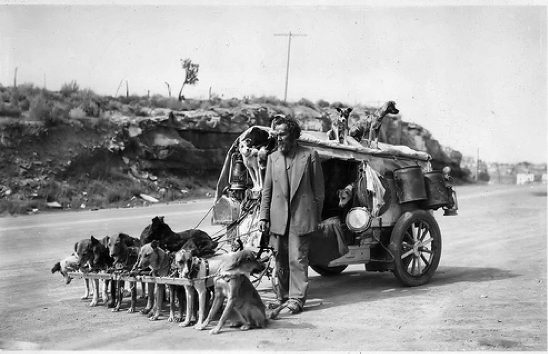 Dogs have, without a doubt, been working like this for thousands of years. 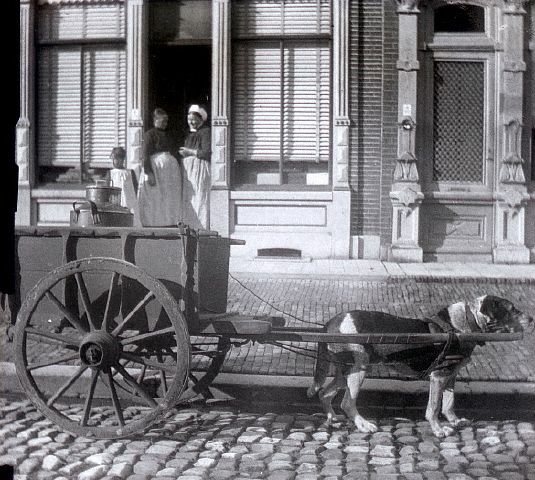 Around the turn of the century animal cruelty activists banned the practice in England and the Netherlands, no doubt because many animals were being mistreated. 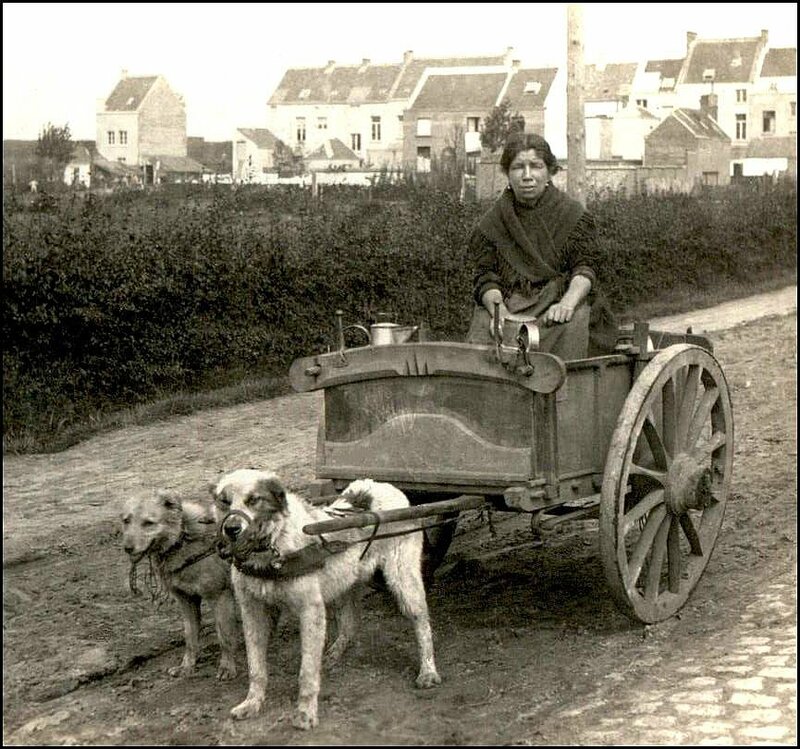 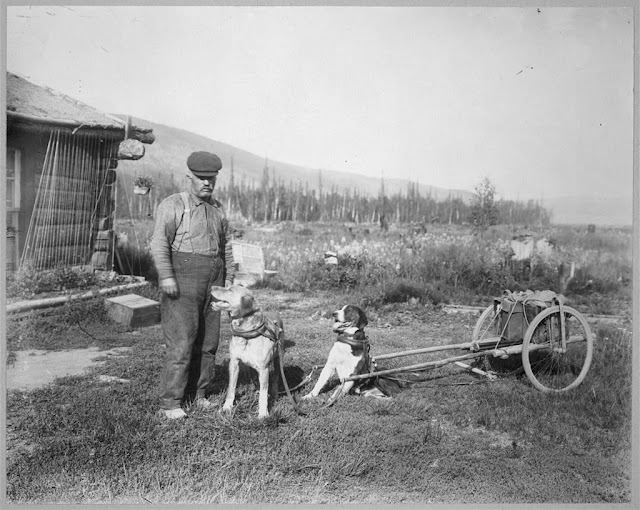 Dogs were used by poor families who could not afford larger draft animals, and many were worked much harder than they should have been. 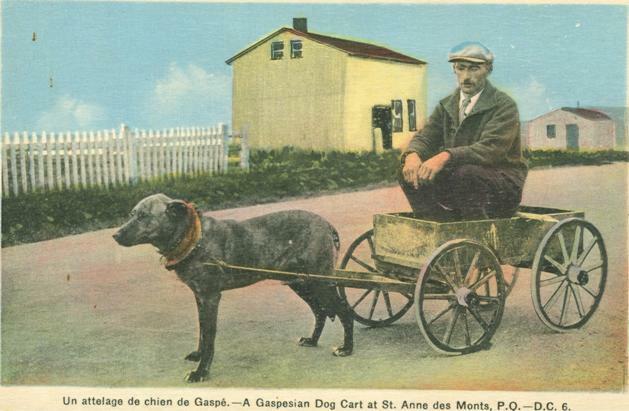 Recently, dog carting has been reborn as a recreational activity. 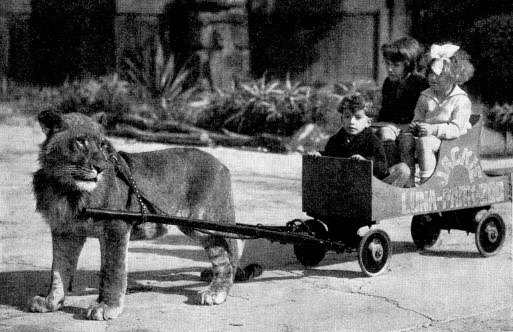 I don't think lion carting is seeing a resurgence. Too bad.